“There’s a time-bomb in the heart of every great rock band,” said Bruce Springsteen while inducting U2 into the Rock & Roll Hall of Fame, and it’s in the way that he’s controlled the combustible force of his own time-bomb over the decades without imploding that’s at the heart of this collection of interviews, essays and speeches. Because at this moment in America, Bruce Springsteen is more than a rock star; he’s a genuine American hero. At 64 he’s still out on the road, still in perfect shape, playing three hour straight shows with a band that just keeps expanding in many great directions (rather than replace the late great Big Man, Clarence Clemons, with another sax-man, for example, he got a whole horn section.) What was phenomenal when he was a young man is positively heroic these days, as he persists in being a great figure of hope for his fans, and for the world. His story is not your conventional rock tale of drugs, hedonism and other methods of self-destruction. Far from it. According to early interviews, Bruce never smoked even a joint, much less the harder stuff which took over the lives of so many of his peers. Nor did he ever drink. Which is not to say that his road was an easy one. His primary challenge, as well-illuminated here, was to stay true in a world where truth is rare, and to remain grounded in the face of unfathomable success, as well as the relentless self-doubt, fueled by his father’s lack of faith in him, that he’s harbored his entire life. 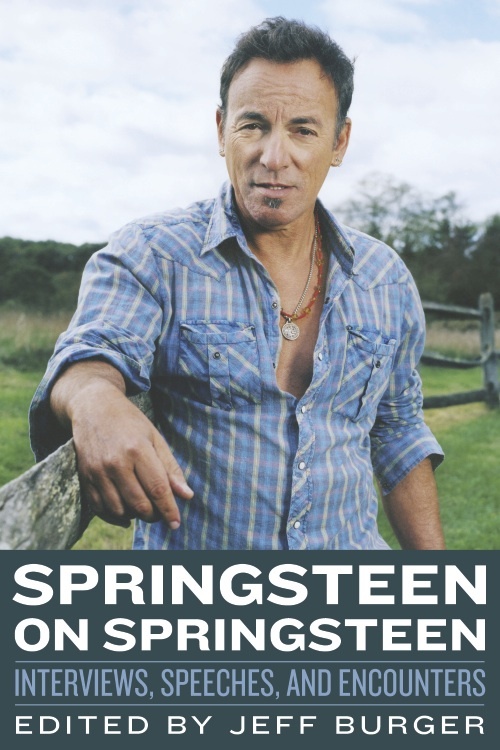 This book is a must for any Springsteen lover as it has so much – not only a wide range of interviews in all media , here and overseas, but a collection of beautiful speeches written and delivered by the Boss over the years. Journalist-author Jeff Burger’s love of the subject comes across in this vast profusion of unexpected material he’s discovered, allowing the reader to view Springsteen from many angles, and over the decades. There’s the expected magazine Q&A interviews, going all the way back to 1973, all of which are a joy to read, reflecting the evolution from brash but confident youth to world-weary acquired wisdom to folk hero. “I’ve spent thirty-five years writing about America and its people. About what does it mean to be an American, what is our duty, our responsibility, what are our reasonable expectations that we live in a free society. I never really saw myself as a partisan, but more of an advocate for a set of ideas: economic and social justice, America as a positive influence around the world, truth, transparency and integrity in government, the right of every American to have a job, a living wage, to be educated in a decent school, and to have a life filled with the dignity of work, promise, and the sanctity of home. These are the things that make a life. These are the things that build and define a society. And I think that these are the things that we think of at the deepest level when we think about our freedom.” – Bruce Springsteen, November 2, 2008. His induction speech for Dylan into the Rock Hall is also a treasure. His first exposure to Dylan, he wrote, came from his mom’s car radio and sounded “like somebody kicked open the door to your mind.” He wrote “Where great rock music is being made, there is the shadow of Bob Dylan over and over again,” showing all music scribes how it can be done. In the interviews you have a real chance to look into the soul of this guy. And though he went through unfathomable success, it’s surprising and somewhat sad to see how unhappy he was. Lack of success was a mountain he had to surpass, and when he did his challenge shifted to how to stay grounded even when shot like a rocket into the stratosphere. So many times in these talks Bruce returns to the subject of his dad, how much he wanted to impress him, and how many times he failed, that it’s pretty clear the old man’s indifference to his son’s talent impacted him so thoroughly he never recovered. It might be the reason that Bruce, even after enormous commercial success, felt there was somewhere farther to reach, something still to prove, new mountains yet to climb. Rather than ever rest on any laurels, his journey has always been about forward-momentum, never resting too long in the easy pocket of success so as not to get stuck there. All the parts of the story – the Jersey phenomenon, the life and times of the E-Street Band, his decisions to go solo, his marriages – all of it is here. It’s a revealing and redemptive journey, both harrowing and heroic, across the arc of this singular career. There’s a wide range of interviews here conducted by interviewers of various skills, so that some are focused better than others. But regardless of the questions asked, the answers throughout reveal Springsteen’s prodigious dedication through the decades to fully embrace what matters most for himself and his audience: to never lose sight of just how much this music matters, and to always offer an affordable ticket to that inspirational Land of Hopes and Dream of which he sings. If you’re hungry to learn about the true soul of this remarkable man, look no further; it’s all here. 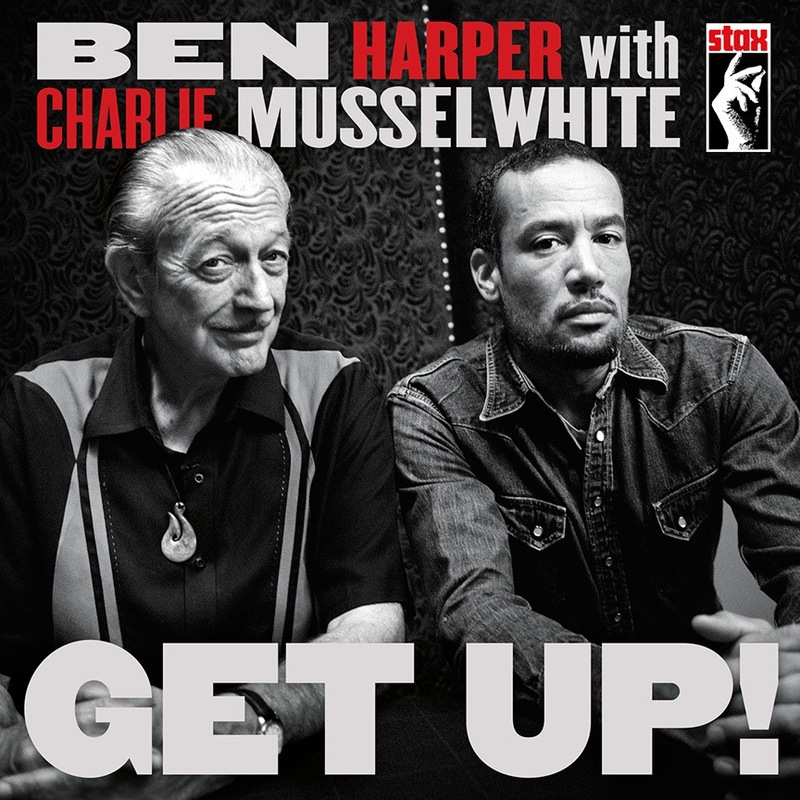 Ben Harper with Charlie Musselwhite * GET UP! A happy merging of two great talents, this duo album serves up much great blues and soul material in a wonderfully raw setting. It starts with “Don’t Look Twice,” which opens with essential soul etched in one voice, one guitar and Musselwhite’s monumental harmonica, which breathes with the quintessence of the blues; when the man weeps on the harp, you hear the age-old cry of a human in the world, getting through. A band kicks in a little while into the song – as you might expect – and it then winds down back to these two men, alone. It’s a great effect and a beautiful start to a fine and fiery musical journey. “I’m In I’m Out and I’m Gone” resonates like a stomping Willie Dixon classic with Muddy Waters-like exhortations throughout and the harp woven deeply into the groove. The songs are all written or co-written by Harper, who said he had hoped to work with Charlie for more than ten years. “We Can’t End This Way” has a visceral Dylanesque vibe which shape-shifts beautifully to Gospel, aligned with a sly and angular ¾ time groove which propels the listener to a world of hope kept alive. Besides Harper on slide and electric guitars and vocals, and Charlie on harmonica, the band is has Jason Mozersky on guitar, Jesse Ingalls on bass and Jordan Richardson on drums. If you’ve been hungering for some brand-new timeless blues, hunger no more. Here it is. 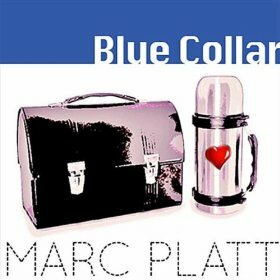 Marc Platt * Blue Collar That the man is a very serious songwriter is evident from any one of his songs you hear. His previous album, Bitter & Sweet, was so strong that one might have expected him to peak already, but it just pushed him higher: to this collection of strength, an EP of songs about the world at hand, entirely timely but still timeless, like the best music. Like Springsteen, who has discovered many avenues by which to express the plights of the common man in songs, Platt has delivered here a song cycle which faces modern times head on. But lest you worry these are heavy message songs that are no fun, have o fear – he’s a savvy songwriter who loves great pop and rock; each song here is soulfully inviting. The opening “Undervalued Underpaid” has a clear and strident message of the hardship of today’s working world. But it does it in with great musical appeal, the chorus a strong hook, and with CSN-like harmonies it rings with great power and poignancy. Produced by Lisa Nemzo, as was his previous record, these are modern protest songs written by a songwriter who knows his way around a song. Well regarded in the L.A. songwriting community for his breadth of knowledge, Platt’s a rock and roll kid grown up, and somewhat of a pop and rock and roll historian. He brings that knowledge and savvy to all of his songs: “I’ve Been Told” is a conversational saga which unfolds with a jaunty confidence accented by slide guitar; it’s a song Johnny Cash could have nailed. “Whole World’s Watching” is another perfect wedding of a serious message with a wonderfully propulsive and visceral melody. Set around an unexpected Lennon-like chord progression, it’s both alarming and deeply haunting, and also boasts one of his most passionate vocals. Nemzo beautifully lets it simmer slowly over an acoustic guitar edge before it bursts out into many sonic directions. “Living On The Edge” is masterful songwriting, opening with mournful harmonica before launching into the deeply beautiful melody which underpins this story of those on the very edge. Living through these days, in which so many souls walk that razor’s edge which separates us from those on the streets, this one comes across with great power and sensitivity – but is not slightly contrived or false. Like Dylan, Platt finds music and phrasing as serious, and yet inviting, as the magnitude of the subject. Whereas most songs about the homeless are well-intended but very maudlin, and result in a trivialization of the situation, this sounds so genuine, so from the heart that it’s stunning. If only for this song this album would be worth the price of admission. Nemzo’s production of this one is so loving and tender that it underscores the sorrow with delicate dynamism. It’s a track you can listen to over and over, as have I, and it works. It holds up. “Work In Progress” is a beautiful elegy abut the progress of the heart, and boasts one of Platt’s most magical melodies with finely etched words and an aching but expansive spirit which just seems about to burst; imagine Bono singing with Mumford & Sons and you get near the idea. He takes what seems like a fairly pedestrian phrase, “Work In Progress” and shows us new possibilities we never expected, the essence of fine songwriting. It all comes to a close with the single Platt-Nemzo co-write “There’s a Road,” an epic cinematic journey down inevitable pathways of life. This is seriously good. In an era when people complain that nobody writes meaningful songs anymore, here comes Platt with the goods: Beautifully crafted songs of great depth and spirit with timeless melodics. This is Rock & Roll for adults. Not to be missed. 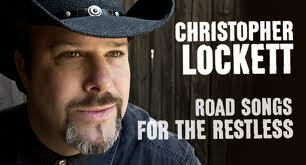 Christopher Lockett * Road Songs for the Reckless He writes songs like a much older man, like a songwriter weathered and wearied by the musical life, but with an ample amount of remaining soul. “Heartbroke, Drunk and Restless” starts this party, and it’s a powerful opener. Powered by great organ playing against a driving groove, Lockett sings from his heart about the multitudes of experience that all exist within one iconic Golden State, California. “I got a love as big as California, I can’t deny it,” he sings. Sounds like his heart is about that big. He writes lyrics with the earthy grace of Merle Haggard, who he tips his hat to in the first song. “Cold Night For A Suicide Girl” resounds like some miracle collaboration between Hank Williams and Marilyn Manson. As haunting as a 3 am truck stop with a full moon above, this is grim Americana, the dark side of the heartland. “When This Old Car Was New” is a perfect song: beautiful with an earthy, gutsy beauty, and Lockett’s voice deepening into rich Tom Rush bass pedal tones, and an absolutely gorgeous and essential chorus, “We are still in the summer of our lives.” He’s a country songwriter swimming against the prevalent Nashville current of pop country to return to the deep waters of songwriters like Townes Van Zandt and Steve Earle. “Mbira Mboogie” is a remarkable and unexpectedly spirited instrumental of that rings exotically, like a marimba in a pawnshop, displaying his multi-instrumental chops, as do a few other intermingled instrumental excursions, such as “A Road Back Home” and “Heart Like A Train,” a great title for him as his heart seems both locomotive in its range. “Nobody’s ever made a dime singing any song of mine,” he sings, “but if you don’t mind I’ll keep trying.” We don’t mind at all; he’s writing the kinds of songs a whole lot of singers could sink their teeth into. A substantial and soulful songwriter of the highest degree, and a deeply emotive singer, Mr. Lockett is making deeply satisfying music, the kind of music that keeps you going even through the toughest of times. Lee Feldman * Album No. 4 He’s a songwriter of some special character, a guy cut from old-fashioned cloth, it seems, not unlike Van Dyke Parks in the sincere Americana of his tunefulness and sweetness of vocal delivery. His new album starts with a song which crystallizes the challenge of songwriting, “Trying To Put Things Together That Have Never Been Together Before.” That is the aim, to make those new connections in terms of language and tune and the ways they intersect, and Mr. Feldman is a brave purveyor of the form. He writes fresh, creatively tuneful songs, songs which spring with the sweet early Brian Wilson braintrust vibe at times mingled with a little Nilsson, such as the exultant “Halo” and the lovely “That’s The Way The World Used To Work.” Especially nice is “The Magician,” a gentle piano-based exploration that is sonically spiced unexpectedly throughout with horns and synths that intensely outlines the isolation of the performer. It starts light and slowly becomes quite thick and heavy and remarkable. “River” is a happy expedition streamed with happy horns and a kind of inverse samba. The album’s 14 song cycle concludes with “Thanks,” a direct appeal to the listener that is wholesome and lovely in its grace. 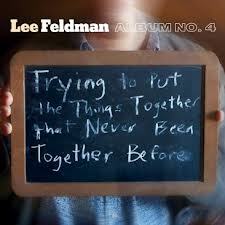 Lee Feldman’s a good songwriter, something this world always needs more of. Thanks. 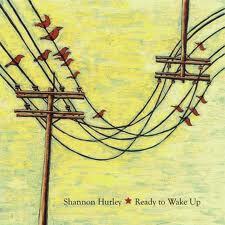 Shannon Hurley * Ready To Wake Up Shannon Hurley is a beautiful expressive singer-songwriter, who really knows how to make songs work. The opening “Matter of Time” is really savvy songwriter, the music propelling the words along the very subject of imminence – something about to happen, to burst forward – and to paint this picture, she builds up brilliantly with a pre-chorus on the title, which builds before she breaks into a magnificently melodic chorus. Her voice is perfectly suited to the elegant flow of the melodics; her high notes ring with the purity of a bell, like Judy Collins in her highest register, and her low notes resonate with a conversational grace. “Sunrise” is another which merges an elegiac lyric with a glorious melody, the tunefulness of which is so welcome and heartwarming in this age of often cold sonics. The album has several different producers, but it’s the work of the great Israeli producer-songwriter Guy Erez that really distinguishes this album; his great mastery of dynamics to propel a song goes a long way in bringing all the beauty out of these beautiful songs, which are so well-written it makes his job easy. Unafraid to be pretty musically, Shannon Hurley writes those kinds of songs people say nobody writes anymore, tuneful songs that do right to the heart. Excellent musicianship throughout sparkles, with Shannon on keys, Guy on bass and guitar, Ben Eisen on bass and Grecco Buratto on guitars. “Breaking Down” is a wonderfully dimensional saga that wraps up the album, with a beautiful remix by Celeste Lear. This is serious great songwriting, beautifully performed by the singer and her band, and so tuneful throughout that it makes a song lover smile all day long. This is great work which makes one yearn for what’s next. FALLDOWN* Falldown A great young Chicago band led by multi-instrumentalist Jared Rabin, Falldown, on this, their eponymous debut, sounds like a real band, a band like Wilco or The Band itself, all about harmonies and acoustic instruments and unique, personal songwriting. Rabin, who plays a multitude of instruments on this, including guitars, lap steel, violin and mandolin, is also the lead singer and songwriter, and he writes tuneful and appealing songs who mixes up an evidently vast range of influences, resulting in a wonderful mix which brings together country, jazz, folk and more. Beautifully colored by his instrumental touches and fine playing by Patrick Lyons, another serious instrumentalist, on slide guitar, pedal and lap steel and vocals, propels all of these songs in colorful and unique directions. “Couch Sleep” has the winding melody of early Steely Dan with a hint of Country-Western. “Slay Me”, a nifty country-shuffle, is invigorated by Rabin’s fiery fiddle, the perfect complement to this saga which unfolds with in the indie-rock realm where early R.E.M. used to dwell- before a great swaggering country breakdown which ignites the track. “Sarah Says” is a romantic ballad about the aspirational if ungrounded existence of musicians, brought down to the earth by love. With a sweet waltz-time melody reminiscent of Ben Folds that bursts into a wonderful chorus that unites the ethereal with the earthy, landing on the line, “I’ll see her next Thursday.” It all comes to a close on “Steal Again,” another with jazzy Steely Dan-like cadences wed to country sounds. It’s a song about California dreaming from a distance – that of their native Chicago. 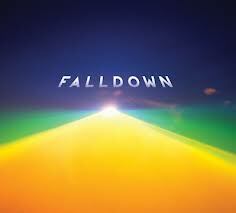 Falldown is that rare band whose songwriting matches the high level of musicianship throughout. There’s only six songs here, but each is so strongly realized, it makes one hunger for what is next. They seem capable of anything. 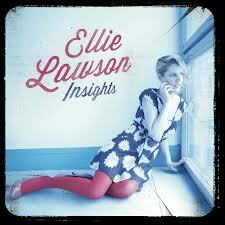 Ellie Lawson * Insights So great was her debut album, with it’s wondrous mix of brilliant songwriting, strident vocals with rich harmonies and hip-hop tinged soundscapes, that I’ve long looked forward to its follow-up. This doesn’t disappoint. She co-wrote all the songs this time around with Dave Harewood, with who she concocted musical tracks, and then wrote the words and tunes herself. Her melodies are invariably exotic, often mixing fast rap phrasing with Turkish and Arabic-flavored melodics. The opening song, “Back On Track” is deliciously multi-dimensional, a rich, deep panoply of sweetness and groove. “Try” starts with just voice and guitar before moving out in many directions, and which matches the elemental subjects of her other titles here, “Why” and “I Know.” “Try” takes that one word and wrings magic out of it, showing what songs can do. She’s at once conversational and formal, cannily contrasting sections of fast phrasing, with many words, against sections like this chorus, focusing on long melismatic turns. “I Know,” for example, plays with dynamics of wordiness, playing the simple phrasing of the short title as a great hook against the complex shifting colors of the verses. Her music has everything; like Beck, she’s as creative with the words as the music as the arrangements and song structures. Produced and mixed by Ian Grimble, it’s very new and fresh sounding, while still related to great soul records of the past in the deep grooves and sweet melodics. This is inviting music; you hear it once and you need to hear it over and over, and each track so rich as to encourage maximum repeats. It all ends with the great “Why” which brings up the question Why? Why isn’t Ellie Lawson a superstar? She’s got everything and more. Here’s hoping this is the album that brings a vast audience to her beautiful work. She writes the kinds of songs, and make the kinds of albums, that are meant to be around for a long time. This is one not to miss. 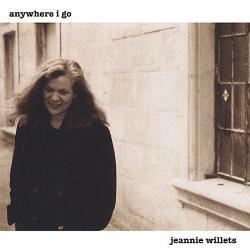 Jeannie Willets * anywhere I go She’s long been beloved on the L.A. folk circuit with good reason; she’s not only a fine and seasoned songwriter, she’s a tremendously appealing vocalist who could have had a career singing other people’s songs if she didn’t write her own. Delicately produced by Jeannie with the team of Franklin Spicer and Bruce Ablin, who also engineered, the tracks are all elegantly understated: finely focused around Jeannie’s sweet vocals, and accented gently by acoustic guitar with tasteful percussion, drums and other subtle touches. Most of the tracks don’t even have bass, but it works. These are stately, aching melodies, often with jazzy turns throughout. She’s a seriously good melodist – the songwriter wisely providing the vocalist with some seriously good material. “Since You Went Away” is an ideal ballad of loss, which bursts into rich harmonies (sung by the legendary Alex Del Zoppo of Sweetwater along with Kris Jarvis and Pam MacLean, who also team up to bring great richness to other tracks, reminiscent of Todd Rundren at his most lushly harmonic). “Paris Song” is a lovely romantic wish to live a life of love in the City of Lights. Dale La Duke’s elegiac accordion is the ideal ingredient to lend this track a Parisian spirit. Several of the songs detail equations of the heart, such as “The Heart Is The Place,” and the closing song “Plans With You.” Set only against a single acoustic guitar and keyboards, she sings, “They saw a heart knows at a glance/but now and then must take a chance” and leads into one of her most sumptuously poignant songs. This is a beautiful collection of songs by a singer whose purity of spirit comes across on every track. Check it out – it’s heartwarming.